Established in 2010 in Edinburgh, Humble Spy Photography came to London in 2011 and in just a couple of years made the name known to many in the property business. Now a five-strong team backed by an around-the-clock processing office, we are a well-respected and much trusted photography venture. 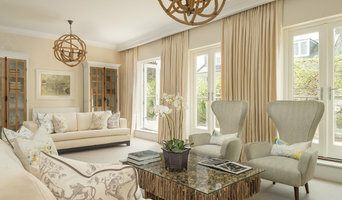 Our photos are to be frequently seen in the press and specialised property publications in London and nationally. We have seen most of London’s best interiors, made it to ‘Million Pound Properties’ on Channel 4, enjoyed shooting privately for some celebrity clients, contributed to a few books and still think it is all great fun. Specialising in the field of architectural and interiors photography, Z A C + Z A C creates beautiful and highly professional imagery to help clearly communicate your ideas and make a positive impact on your audience. Their photography and photographic retouching techniques combines both artistic freedom and technical expertise to produce natural, striking imagery. Z A C + Z A C was created by the collaboration of two cousins, Aaron and Ryan. They studied together in the field of design where they combined their individual strengths along with a shared passion for photography and the built environment. Their design background gave them a unique eye for detail and composition which is clearly demonstrated in their photography work. London based photographer - interiors, architecture, lifestyle. Trained architect turned photographer with 10 years of photo experience working with a variety of architects, interior designers, artists and contributing to design magazines. In marrying mesmerising architecture, natural environment and fashion pieces Marco Joe Fazio and his team seek to create enthralling, thought-provoking and, maybe most importantly, living photography for commercial, fine art and private purposes. We are purist and are always striving after perfection in what we do. We are adventurers and enjoy the challenge of working across the borders of styles and categories. We believe in our vision of photography as a tool to take the world apart, to portray and shape it, to show how alive, colourful and contradictory it is, to question these fragments of reality and then to reassemble it, one picture at the time. 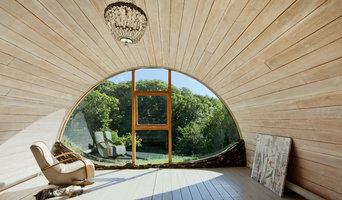 is a professional architectural and interiors photographer based in West London. Henry’s fascination in architecture stems from how people coincide with their surroundings. Keeping architecture as the focal point he strives to portray this interaction in his photography. Utilising both natural and artificial light he creates mood and atmosphere within the space. 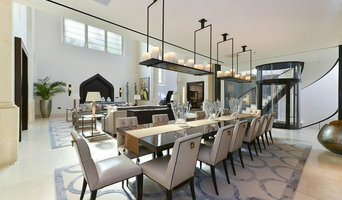 Henry has been commissioned on architectural projects throughout London and Europe. During his spare time, he travels to photograph new and interesting architecture around the world.y. Henry utilises specialist lenses, flash lights and natural light of the space to create mood and atmosphere in the imagery. Room dressing and shot set up are essential to Henry’s work, applying his knowledge of interiors to appropriately streamline elements of the interior to showcase the architectural features in each frame. Henry is currently working on a number of architectural projects throughout London and Europe. His most recent project for CV Villas delves into film work portraying property in its active environment utilising cinematic lighting, motorised components and aerial drone footage. Architectural, Interiors and Decor photographer based in Central London. I am a freelance photographer with 12 years experience, specialising in variety of photographs, including interior, landscape and lifestyle photography. I possess backgrounds from both classic art and 3D graphics schools, which taught me deep understanding of lighting and composition, symmetry, perspective and attention to details.